As entertaining as that is, this isn’t a “making it in show business” story. Appropriate to the setting, gambling is at the heart of this universe. It’s a place where people will bet on anything. Huck (Eric Bana) is a second generation professional gambler with the swagger of someone at the top of his game. He uses his poker playing skills in all endeavors, from getting a better deal at the pawn shop to picking up women, including an initially reluctant Billie. And there’s that Huckleberry Finn “never wanting to grow up” thing implied in his name. Huck is constantly at odds with his dad L.C. 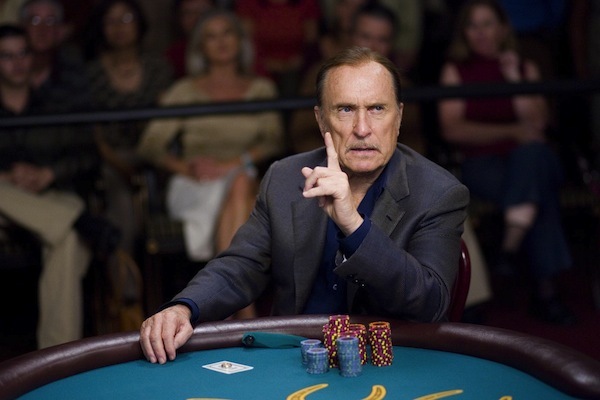 Cheever (Robert Duvall) who won the World Series of Poker twice and is now going for a 3-peat. They’re obviously in competition but there’s more to it than that buried in the past. Director Curtis Hanson went for complete authenticity. The set design recreated the Bellagio gaming rooms as they looked in 2002 when the fictional tournament takes place. The casting of poker champions in key roles adds to the realism. Technical advisors mapped out the player’s strategy and logical outcomes. 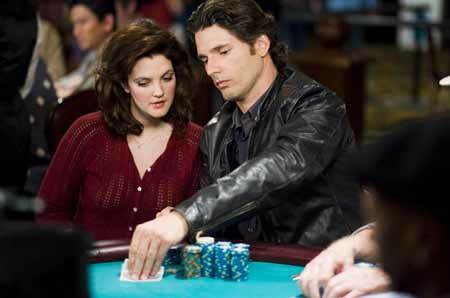 Curtis Hanson directs real life poker pro Jennifer Harmon in a scene at Binions. Billie meets Huck when she moves in with her sister, Suzanne (Debra Messing). Knowing Huck, she’s skeptical of his motives with Billie. Undeterred, Huck introduces Billie to his world. Will Huck win the championship? Will he and Billie stay together? In Lucky You, there are no sure bets. 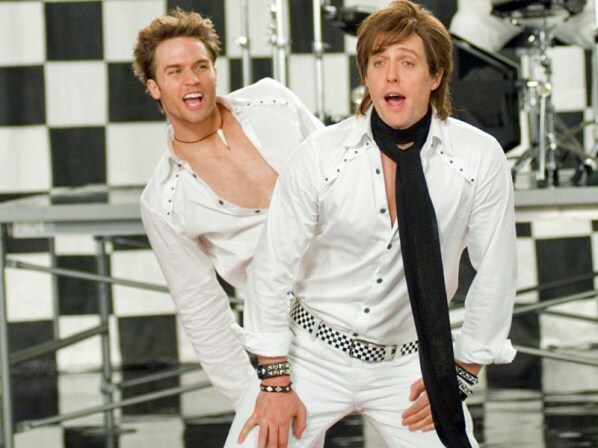 Drew sings again in Music and Lyrics, also released in 2007. This time, she’s paired with Hugh Grant. He’s Alex Fletcher, a founding member of a fictional duo called “PoP!” shown complete with 1980s hair and costuming in a video that plays during the opening credits. As with Wham!, one member went on to greater glory while the other did a quick fade into obscurity and “Where are they Now?” VH1 specials. Alex was the Andrew Ridgeley to the George Michael of his partner Colin (Scott Porter) who’s now a superstar. Alex gets by with second tier gigs on the nostalgia circuit. Salvation appears in the impossibly thin form of Cora Corman (Haley Bennett) the latest teen sensation who grew up listening to PoP! 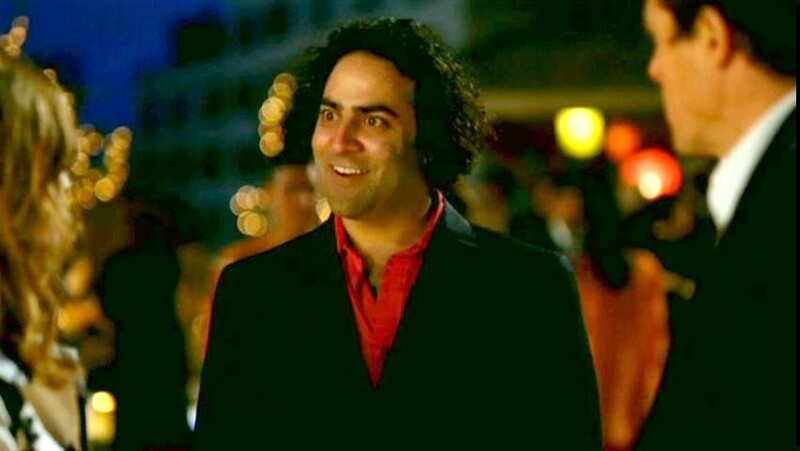 Through his manager, Chris (Brad Garrett), Alex meets with Cora who requests that he write a song for her new album that they could sing together as a duet. It would solve his money woes and introduce him to Cora’s young audience. The only problem is she needs it by Friday and he only writes music, not lyrics. When a prospective wordsmith (Jason Antoon), turns out to be a nightmare, Alex is only too happy to give Sophie (Barrymore) a try. She’s a show business outsider only mildly impressed that Alex was in PoP! and is less than thrilled at the prospect of collaborating. Written and directed by Marc Lawrence with cinematography by Xavier Grobet, Words and Music is a delight, for 80s music fans especially. Fountains of Wayne frontman Adam Schlesinger’s songs evoke the period. The casting is perfect all around. Bennett, Garrett, Antoon and Kristen Johnson as Sophie’s Pop! worshipping older sister are all hilarious. Grant simultaneously sends up British music stars while playing with his own image. Slowly, inevitably, Alex discovers he’s falling for Sophie. And why is this so believable? Drew, actually. This entry was posted in Blogathon, Movies and tagged Brad Garrett, Curtis Hanson, Drew Barrymore, Eric Bana, Haley Bennett, Hugh Grant, Jason Antoon, Lucky You, Madeleine Peyroux, Marc Lawrence, Robert Duvall by crimsonkay. Bookmark the permalink.